Disclosure: Thank you to Discover Greece and Celestyal Cruises for taking me on this incredible journey of Greece – even though this was a partnership, all opinions are (as always) my own. Thank you to Maria of Samos Experience for giving us an amazing tour of Samos island! 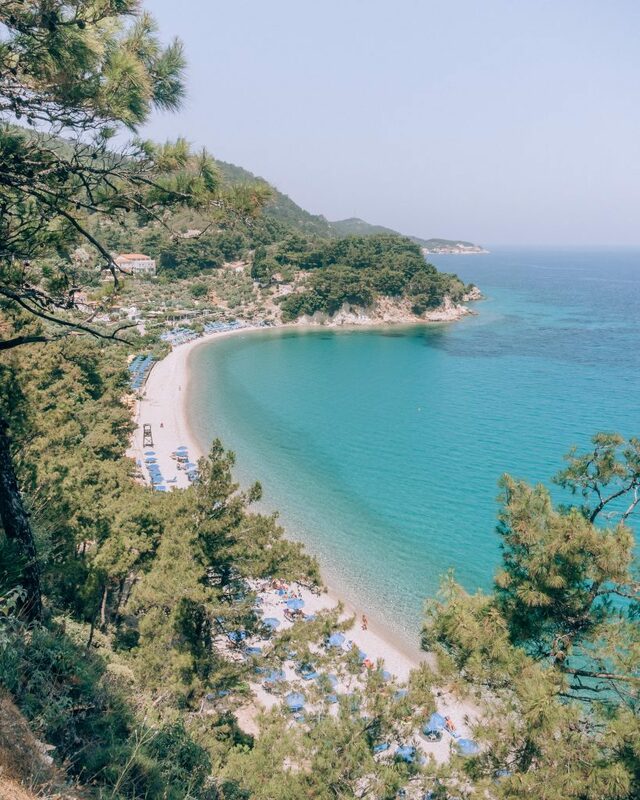 Samos Island, a Greek island in the eastern Aegean Sea, is the paradise that you have probably never heard of. From beaches that could convince you that you’re in the Caribbean to locals who go out of their way to welcome you to their beautiful island. 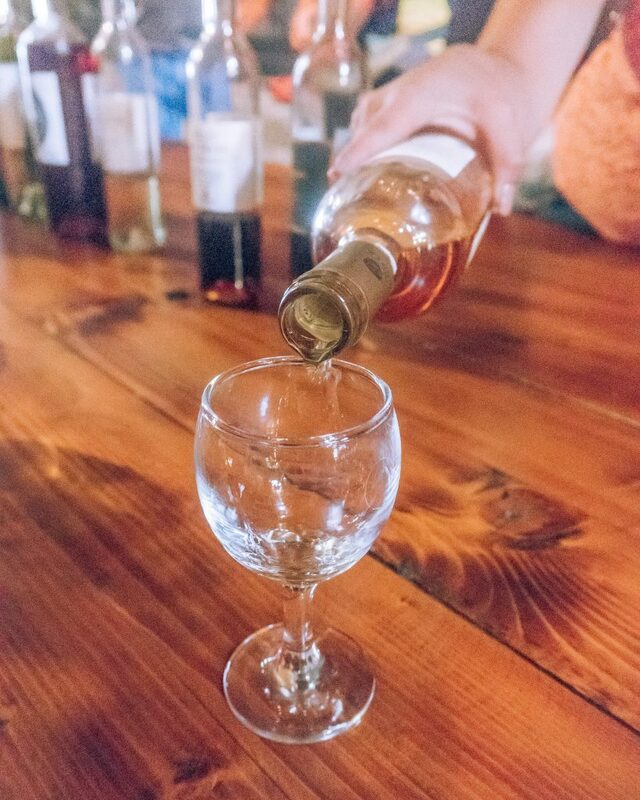 Delicious food and wine await you here! 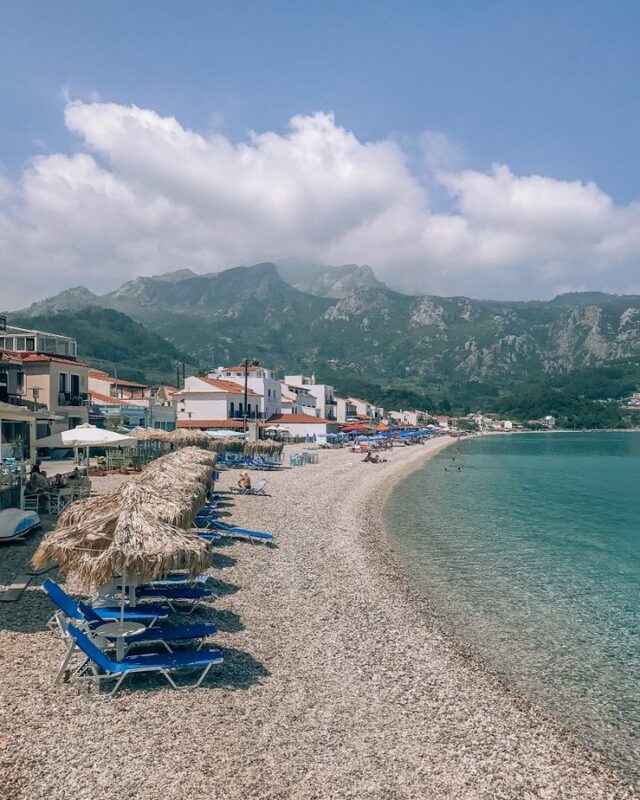 When I saw that Samos was on our itinerary with Celestyal Cruises’ Idyllic Aegean 7-day cruise, I had no idea what to expect. The only thing I knew about Samos was that there was a major refugee camp on the island since a friend of mine had volunteered there a few months ago. When we disembarked in Samos, I was in awe. The more I saw of the island, the more I fell in love. Samos Island is located in the eastern Aegean Sea and is in fact only 1.6km (1 mile) off the coast of Turkey. As I mentioned earlier, Samos is the final stop on the 7-day Idyllic Aegean cruise (starting at £789) with Celestyal Cruises. 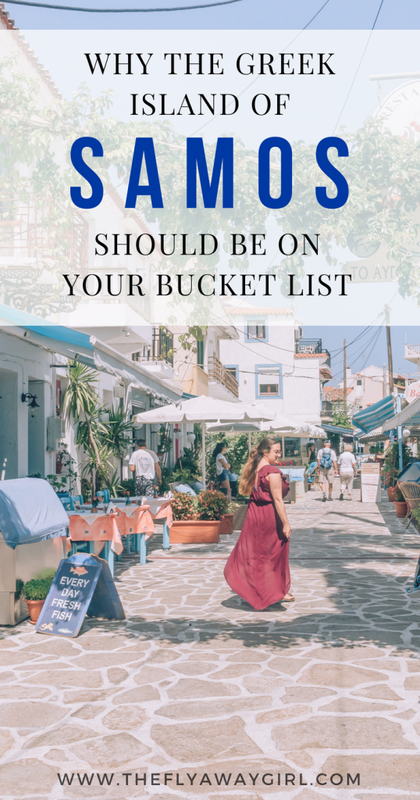 You can choose Samos instead of travelling to Kusadasi in Turkey, and I am so glad we did! Samos is such a peaceful hidden gem that I legitimately felt like I was in paradise. Samos is also an option on the 3-day and 4-day cruises of the Aegean Sea. Alternatively, you can fly directly from London Gatwick to Samos with TUI, and I’ve seen prices for as little as £89 return! 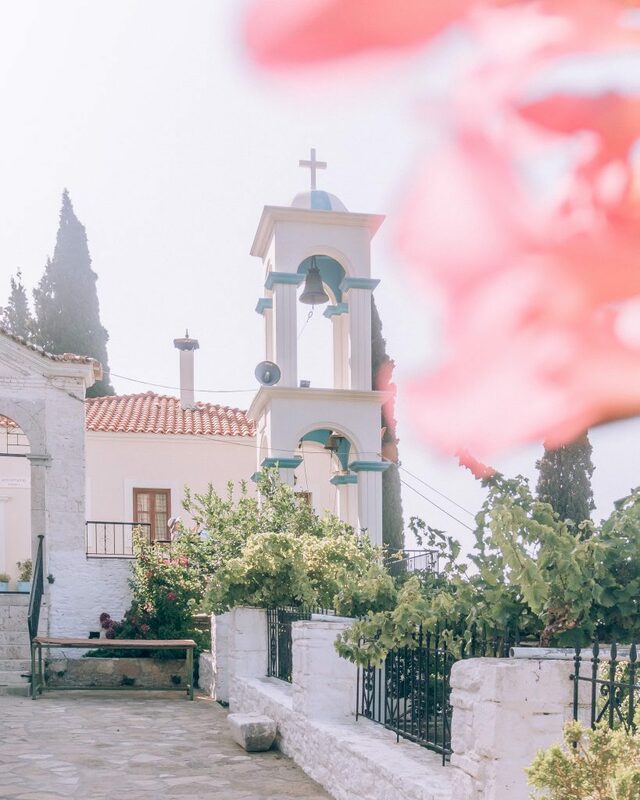 Flights from Athens can start as low as £25 and during the summer months, there is also a regular ferry 3-4 times a week from Athens (Piraeus Port) to Samos and Vathy on the north coast and to Pythagorion on the south coast. However, the ferry does take around 12-15 hours! You can also get the ferry from Kusadasi in Turkey, and there are additional ferries from Ikaria, Mykonos, Lesvos and other Greek islands. Tsamoudu Beach is one of the most beautiful beaches on the island of Samos. It is close to the town of Kokkari and you can relax on the beach, swim in the sea and top up on your tan while enjoying a fresh juice from the taverna. You can get a sunbed and umbrella for only 5 euro, or two sunbeds with an umbrella for only 8 euro (as of June 2018). Compared to the beaches of the more touristy and well-known islands of Santorini and Mykonos, this is crazy cheap! Note: This beach is NOT wheelchair friendly or for those with limited mobility. There is a steep path with a fair few steps to get to and from the beach. Kokkari is possibly the most picturesque and quintessential Greek town you could ever imagine. It is a gorgeous little town (located around 3km from Tsamadou Beach) that is one of the more touristy spots on the island (and yet still ridiculously peaceful and idyllic). 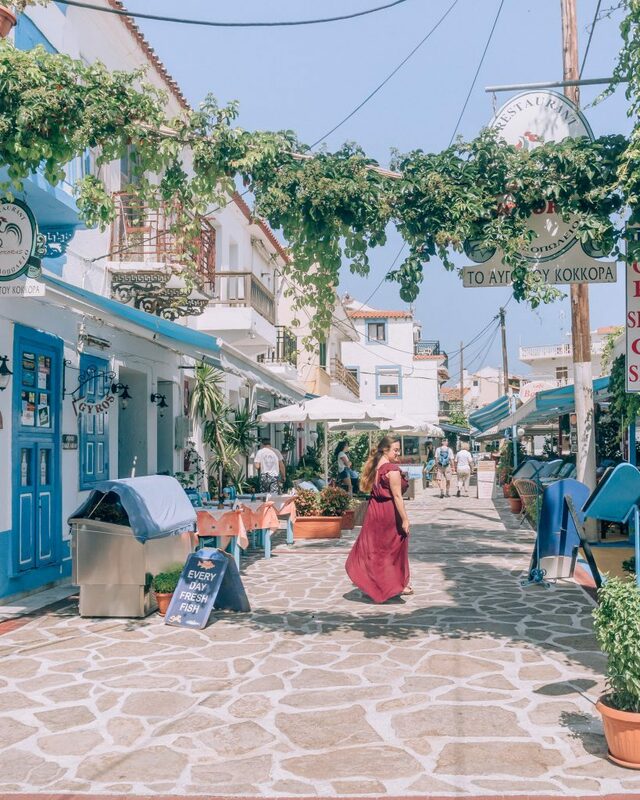 With a population of only around 1,000 people, it is very much a postcard Greek island town! There is a small port in Kokkari and lots of tavernas (restaurants and cafes) located near the harbour. 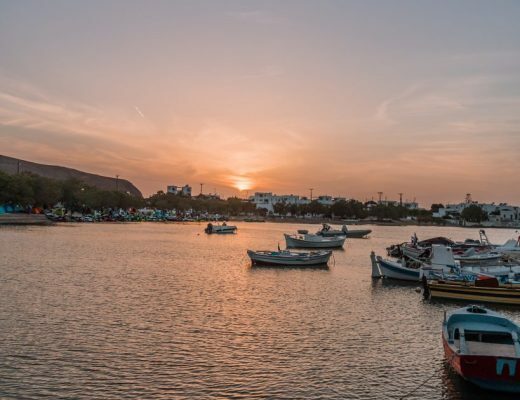 Previously a fishing village, you can try a lot of local cuisine at any taverna, particularly a lot of local fish dishes! However, don’t worry if you don’t like fish or are vegetarian or vegan, as there are lots of delicious food options for all diets. ring any bells?) Pythagoras. Until 1955 this town was known as Tigani until it was decided to rename it after its most famous resident. Here you can find more tavernas, as well as the statue of Pythagoras. 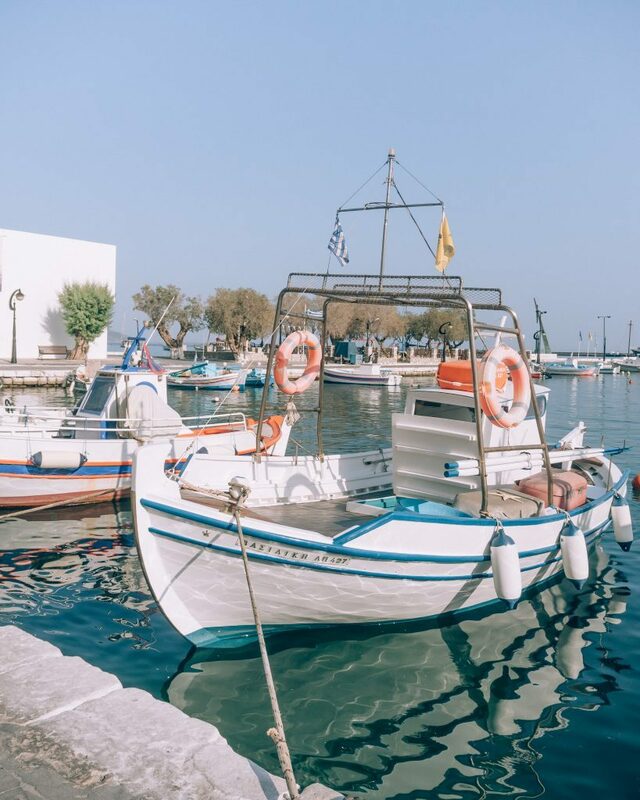 Additionally, the Celestyal cruise ship docks near the port of Pythagorion and you will get to the island by tender boat, so this town will be your first place to see if you arrive by cruise ship! Pythagorion is also home to the Eupalinos Tunnel, sometimes considered to be the 8th Wonder of the Ancient World. The Eupalinos Tunnel is an aqueduct, ordered to be built by the ruler Polycrates of Samos in the 6th century BC. But why is this tunnel so special? It’s because of the way it was built – it is the second known tunnel to be dug (through a mountain) by two teams, one from each side of the mountain, and the first that used a geometry-based approach to do so. With the assistance of our main man Pythagoras (who did some fancy maths to figure all this out), the two teams dug from each side of the mountain and the resulting tunnels were only ONE METRE difference from each other. Considering the entire tunnel is 1 kilometre long, this is one of the most important engineering achievements of the ancient world. One must do on Samos is definitely a visit to the amazing Samos Wine Museum. Admission is an entire €2 (so expensive, right?) AND includes the tasting of the wines! 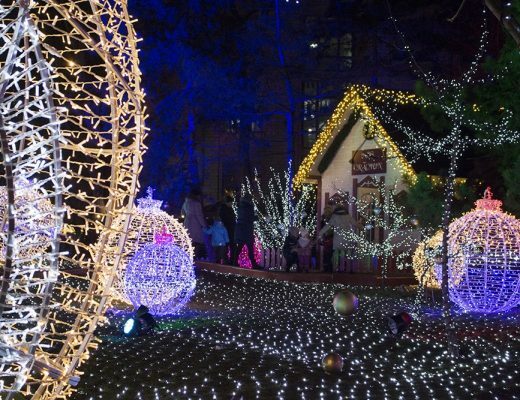 Definitely a must visit, since the Muscat wine from Samos is one of their most famous exports. And, of course, we should all experience the most important products from a country… right? Also, the wines produced here have won multiple international awards so you know you will be in for a treat. Legend has it that an icon of the Virgin Mary was discovered in this cave, but then was taken by strangers who wanted to take it to their island instead. While voyaging back to their home (some say while unloading the boat and others say there was a storm), the icon fell into the sea and broke into five pieces. Over time, these pieces were carried by the sea back to Samos island, where they were found by locals and then restored and returned to the church dedicated to it. Additionally, the majority of the cave is now closed to everyone. We asked why this was – had there been a cave in or was it dangerous? Maria explained to us that in the 1970s, two visitors to the cave had gone exploring… and had never returned. Expeditions had searched the cave (which is huge, apparently) but never found the two missing people. According to local legend, since the cave belongs to the Virgin Mary, anyone trespassing is somehow ‘kept’ by her – it’s definitely a slightly spooky story! 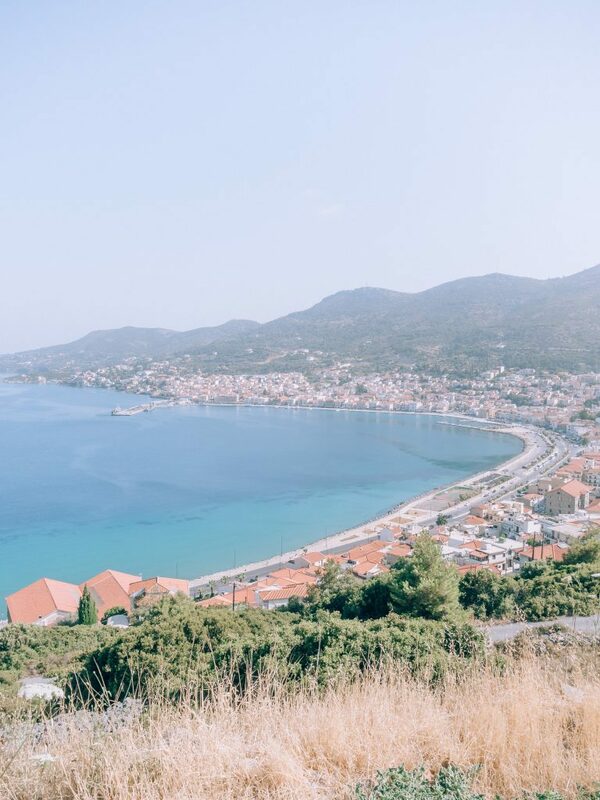 I am already planning my return to the beautiful island of Samos – there is so much more to explore of this incredible island! I hope this has inspired you to visit the wonderful Samos island and experience its beauty yourself. 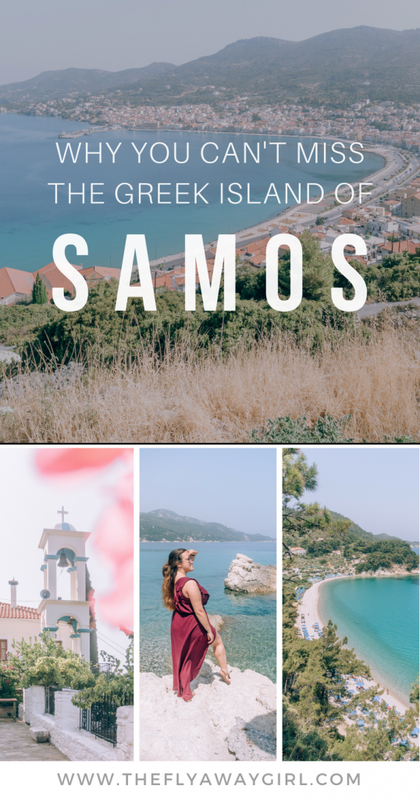 Let me know in the comments if you have visited Samos before or if you are now inspired to book flights there and check it out!